Genuine MOPAR parts and FCA certified vehicle service, trust your car to the experts. 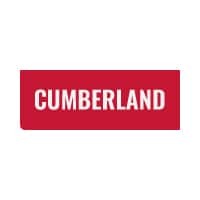 Welcome to Cumberland Chrysler Dodge Jeep Ram dealership’s website. Here you’ll find all the information you need to make an informed purchase of a new Chrysler, Dodge, Jeep, Ram, or used car at our Cookeville car dealership. If you’re looking for a Chrysler, Dodge, Jeep, Ram in Sparta, Crossville or Lebanon, stop by Cumberland Chrysler Dodge Jeep Ram where you’ll get a great price and service! Have questions? Give us a call at (855) 497-2701 and we can address any concerns that you have about a vehicle or service options.